The Apprentice winners: 2017, 2016, 2011...Where are they now? Inventor Tom Pellereau, Ricky Martin, Dr Leah Totton, Alana Spencer and more all received Lord Sugar's £250,000 investment; how did they do? Arguably the biggest success of the BBC’s The Apprentice is Lord Sugar himself; as noted on these pages, at 70 years old, the entrepreneur is said to be worth £1.25bn. But what of his investments? Here’s a quick look at the Apprentice candidates who received investment of £250,000 having won the process. “Inventor Tom” founded AvenTOM Ltd with Lord Sugar to market his original invention of an S-shaped nail file. He subsequently expanded the range to include baby nail clippers and a number of spin-off products, turning over a respectable £850k in the year to June 2016. Sugar still remains a director; Pellereau has subsequently also worked on a number of design projects with other companies. A vegan skincare product business that trades through a social selling platform, Tropic Skincare was subsequently invested in by Lord Sugar after Series 7 of The Apprentice finished, despite its founder Susan Ma not winning. Sales of £7.5m in the year to June 2016 with a profit of £1.5m and being awarded Product Business of the Year show it was a good investment decision! The most regularly seen of previous winners thanks to his assistance with The Apprentice candidates’ interviews in the latter stages of the process, Ricky Martin incorporated his recruitment company, Hyper Recruitment Solutions, in 2011. With Sugar coming on board in 2012, the company doubled its turnover between 2015 and 2016 to reach sales of £2.7m. Again venturing into the beauty industry, albeit this time with a bit more debate, Lord Sugar invested in the cosmetic skin care business of practising Northern Irish physician Dr Leah Totton. On offer are a number of treatments from facial fillers to chemical peels. Incorporated in 2013, the business achieved sales of £900k in 2016. 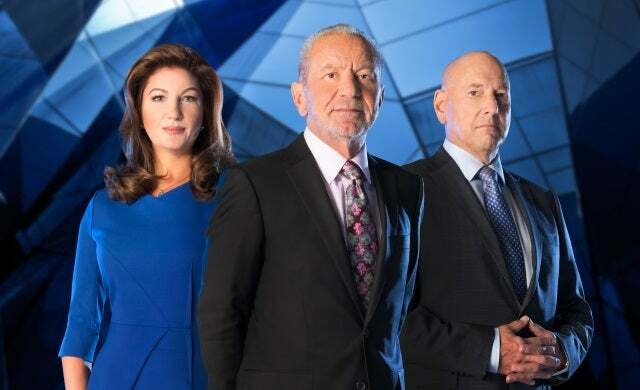 Despite being in a very competitive market, Wright’s digital marketing agency Climb Online proved a simple and attractive proposition for Lord Sugar when he invested his £250,000 for 2014’s The Apprentice. Today, Climb Online has been recognised as a top 25 UK start-up, with over 200 clients receiving SEO services and enjoying sales of £2.7m. Proving his diversity of interest, Lord Sugar invested in Valente’s nationwide network of gas boiler and central heating installation specialists in favour of Vana Koutsomitis’s dating app DatePlay. Talking to Startups.co.uk, Valente noted that receiving the investment, at the age of 25, was ‘his greatest business achievement’, allowing ImpraGas to expand to eleven counties and achieve a reputed turnover of £2.1m. Valente took over Sugar’s share of the business in 2017, with Sugar resigning his directorship in April. Rebranding from Narnas to By Alana (trading as Ridiculously Rich) with Lord Sugar’s involvement, Welsh cake maker Alana Spencer is hoping to emulate the model of Tropic Skincare in building an army of brand ambassadors to sell her products around the country. Watch this space! Financial figures, unless noted, have been taken from Companies House. Don’t forget to also take a look at our round-up of Dragons’ Den success stories.